Accountants love MicroManager. And now, one of the biggest accounting software providers is also showing MicroManager the love. 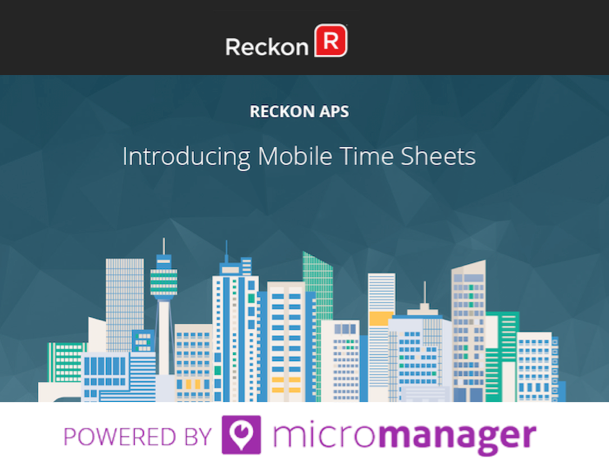 We’re delighted to announce that Reckon has partnered with MicroManager to build a cloud and mobile-based timesheet application. This deal gives Reckon APS customers access to the MicroManager clever features as part of its suite of accountancy software solutions. Reckon is one of the leading cloud-based accountancy software companies in the Australian and New Zealand market and will make this timesheet application available to their customers as an independently-branded product. This partnership offers Reckon customers simple access to MicroManager’s clever time tracking features as part of their Reckon APS subscription. MicroManager’s mobile, cloud-based timekeeping app makes sense for anybody who works on the go and can’t afford the downtime that keeping up with timesheets and tracking travel brings. As any mobile worker knows, the potential for lost charge-out time is huge. MicroManager is a clever solution to the problem. Reckon works to make accounting faster, easier and more productive for its customers. A such, Reckon has recognised the value that MicroManagers expertise and mobile time tracking app can provide for its customers. 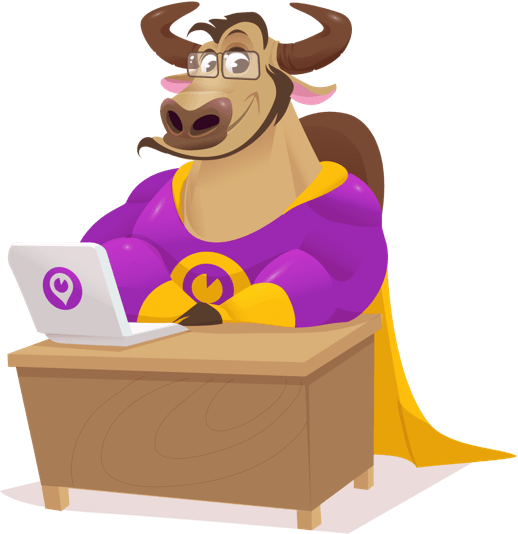 Recognising that accountants and many other professional service providers bill by the hour, Reckon knows that every minute spent on administrative tasks equates to potential billable hours loss. How does MicroManager’s software help accountants do better business? Professional service providers like accountants, IT consultants, engineers and business consultants need to capture time while on the move. Working through a smart phone, MicroManager is a time and travel tracker that is always with you, wherever you are. As Millennials enter the workforce, they bring with them a habitual bond to their phone. MicroManager is a no-brainer for any Millennials who expects that work, personal life and the mobile phone are intrinsically linked. Accountants, like many professionals, are transitioning away from the desktop to the cloud. MicroManager works in the cloud and makes time-consuming tasks like managing timesheets fast and accessible with real-time information always available on their mobile. In the competitive world of online accounting software, both Reckon and MicroManager are working together to stay one step ahead of the shifting landscape and the needs of the modern worker who is ‘mobile’ and looking for simple and clever improvements in their business processes to improve their profitability. Arguably, communication is the main catalyst to making changes in productivity. But while other teams are beating around the bush and hiring expensive third-party coaches and guest speakers, you can use data produced directly from their efforts to monitor sales team performance. There is no grey areas or room for excuses; just better career growth metrics. Once a change in behaviour is set, you can expect a change in sales as well. If you are struggling to get more out of your team’s potential than MicroManager is a secret weapon to keep in your sales toolkit.